Your efforts on maintaining your website pays off with increased profits. You see satisfied customer reviews and zero Google malware alerts. That's a dream for website owners – a safe cyber space for everyone. Remember, you as a website owner is responsible for the entire safety of your business and website users. That's why you deserve a protection that gives you the peace of mind. Get that protection using the proper application security products. Impactless Performance: application security products are supposed to secure your business and improve it, not hinder its growth by presenting various complexities. Therefore the last factor we took into account was the impact these scanning tools have on business productivity. Easy to Use: Most of all, no matter how effective application security products might be, it can be used to the fullest only if it is easy to use. You don't want another headache by using a difficult vulnerability testing tool. Threat Detection and Response: This is the main and most important feature that makes the whole malware cleaner. Because, after all, application security products are threat detection and response tools. The speed of detection of a malware cleaner was not the sole factor. How efficiently the tool responded to the discovered threat was also taken into account. Extensive Reporting Capabilities: Extensive reporting plays an important role when it comes to application security products. Because the detailed reporting can still give you information on how to strategize strengthening your website more. Most application security products only allow a limited access to their feature. You can use them for a long time, but that doesn't give you enough points to consider their product. That defeats the purpose of an all-around protection, doesn't it? In Comodo, we aim to detect and erase all possible vulnerabilities in your website without showing pop-ups for payments. That's darn annoying! We'll give first time users an unlimited 30-day trial. No credit cards registration at all. cWatch offers the most efficient features for businesses. 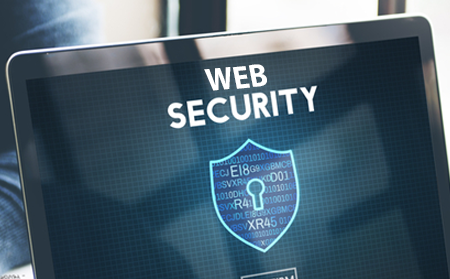 It is the website security check online that combines a Web Application Firewall (WAF) provisioned over a Secure Content Delivery Network (CDN). It is a fully capable website security check tool from around-the-clock staffed Cyber Security Operation Center (CSOC) of certified security analysts and is powered by a Security Information and Event Management (SIEM) that leverages data from over 85 million endpoints to detect and mitigate threats before they occur. The application security products have a global system of distributed servers boost the performance of websites and web applications. The application security products have PCI Scanning that enables merchants and service providers to stay in compliance with PCI DSS. The application security products identify malware, provides the tools and methods to remove it, and helps to prevent future malware attacks. Globally-distributed Anycast network enables efficient distribution of traffic. It explicitly blocks all non HTTP / HTTPS - based traffic, with a current network capacity in excess of 1 TB/s. Each PoP has multiple 10G and 100G ports, designed to scale and absorb. You don't have to worry about the pesky dangers of malware every day. All you got to do is install cWatch on your website. It'll do the rest of cleaning and protect through the application security products. After the 30 days, you might need to choose the package you like to purchase. Spending on the security for websites might appear burdensome, but it actually prevent you from the possible risk of spending more on requesting for website consideration from Google and loss of customers. Why wait for the moment of danger to come? Through the intensive activity reports of the security for websites, you plan effectively before a malware attack. The best cure is prevention. Use the application security products.